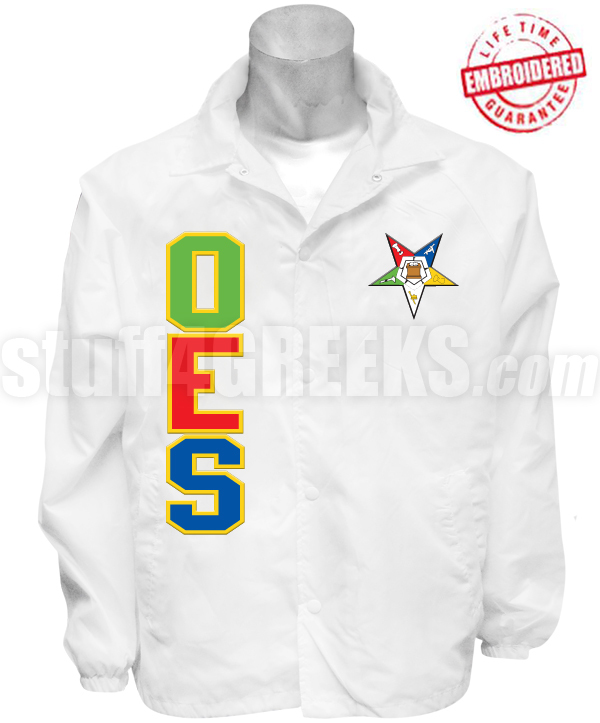 White Deluxe Order of the Eastern Star line jacket with "OES" down the front right and a Fatal Star icon on the left breast. 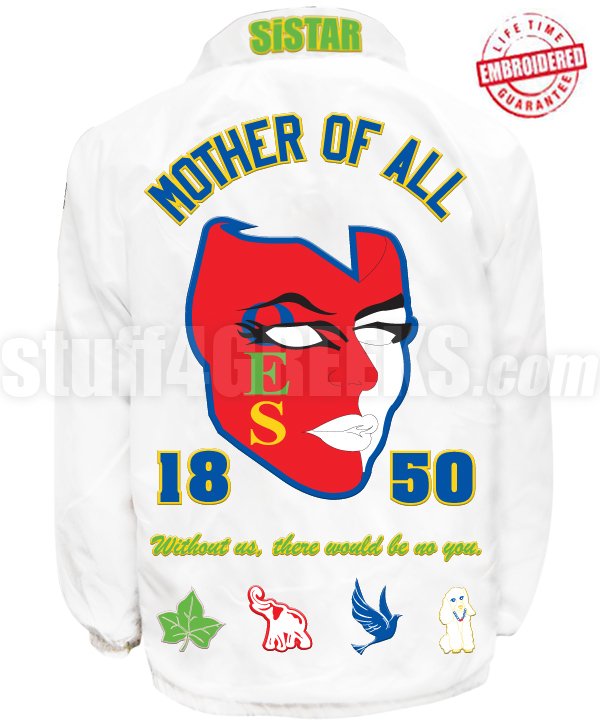 This jacket includes the front design as shown, text on both sleeves, and the back seen above ("Mother Of All" across the top back, OES Mask artwork between 1850, and "Without us, there would be no you." 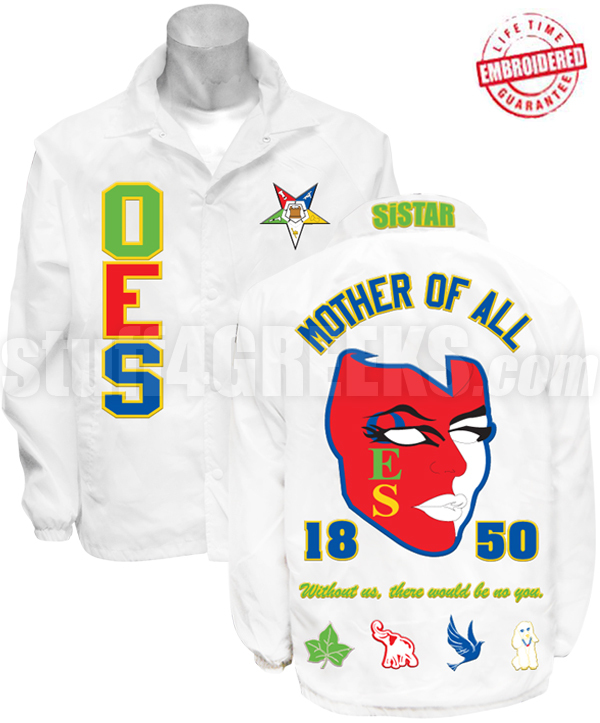 above the Divine 9 sorority icons at the bottom back). Icons on the sleeves are an additional cost. 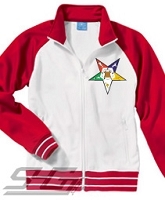 Don't like this line jacket? Looking for something different? Click here to make your own custom crossing jacket.